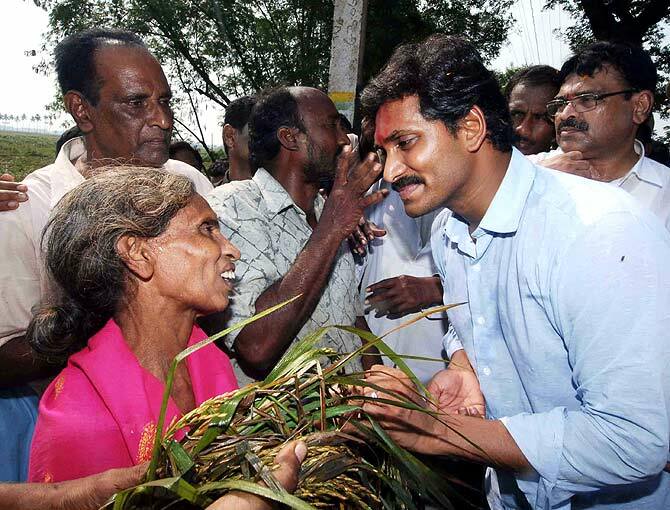 Vicky Nanjappa goes on the campaign trail with YSR Congress chief Jaganmohan Reddy in Srikakulam district. In the second of a three-part series,rediff.com speaks to Jagan Reddy about his chances of success in the forthcoming Lok Sabha and assembly elections in Andhra Pradesh. There is a misconception about this issue. The impression is that we are anti-Telangana, but this is not true. Yes we did try to keep the state united, but that did not happen. It is time now to move on and think of the development. You must remember that my father ensured maximum development took place in Telangana and contrary to what many people say people there still respect him a lot. We are making all efforts to field as many candidates as possible there and are sure of getting a good result. There are some areas where we need to strengthen our base in the region, but as of now we are strong in the southern part. I have heard many say that this will affect my party and its prospects. 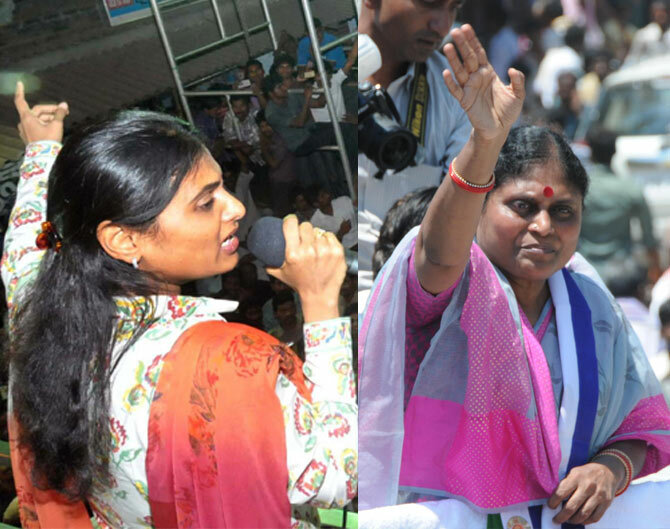 The YSR Congress has its share of voters and nothing can change that. We have an enviable 50 per cent vote share, and that remains intact despite what the opinion polls may be saying. The question is whether people have faith in (TDP chief) Chandrababu Naidu. According to me, they do not. He may have managed to increase his vote share a bit with this alliance, but that has not affected us at all. I had once said that there was no opposition in Andhra Pradesh as Naidu supported almost everything that the Congress did. This will go against him. Moreover coming back to the issue of Telangana, I have never said anything derogatory about the people. Naidu, on the other hand, has taken many U-turns on the issue. It is for you to see the love people have for me and my party. They have seen through every wrong deed done to me and my family after my father’s death. I am touched to see how much all these people love my father and remember him for all the work that they have done. I ensure that I interact with many people; each one wants my father’s legacy back and hence would vote for the YSR Congress party. I am not deterred by what some people have to say about me and my party. The people are with me. Despite such scorching heat they come out and speak to me, and this is an indicator of the love and respect that they have for all of us. These are all political in nature; I am confident that I will come out clean. The people will give the verdict. Many were afraid of the growing popularity of my party and they wanted to ensure that I took a back seat. That did not happen. Narendra Modi is a very popular leader, but whether it would translate into votes is a different issue. In Andhra Pradesh, the issues are very different. People are walking into a new format with this bifurcation and all that matters to them is development. There are insecurities and doubts that need to be addressed and taken care of and that only my party can ensure. At the moment our focus is on fighting the elections and winning it. The assembly segment is very important because the people need a government which address their concerns and I feel that only a party which is well versed with the issues and the peoples’ problems at the grass root levels can understand this. Yes it is very important that we sweep the Lok Sabha segment as well. Power is not my priority. But I will extend support to anyone who ensures development, as people of my state need it the most now. 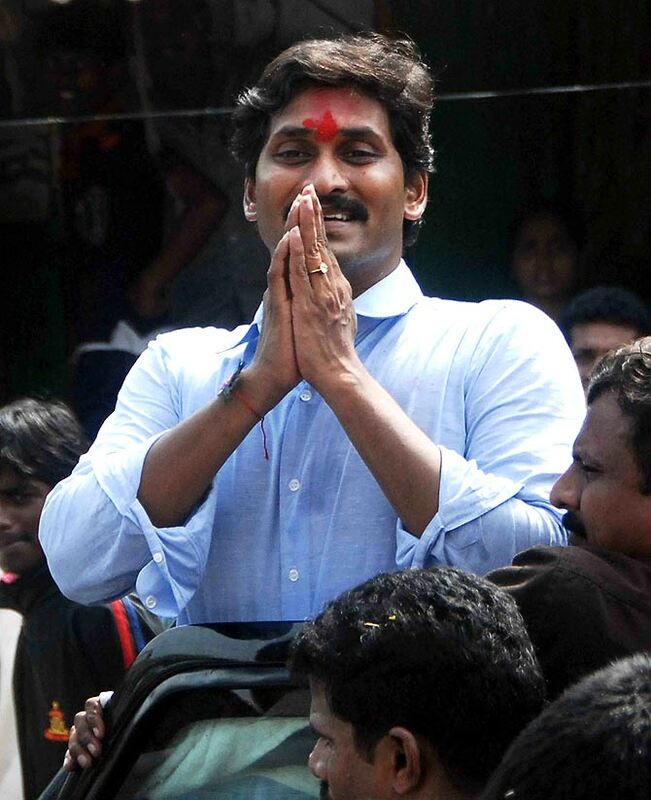 Will ED's Rs 863 crore seizure help Jagan in some way?